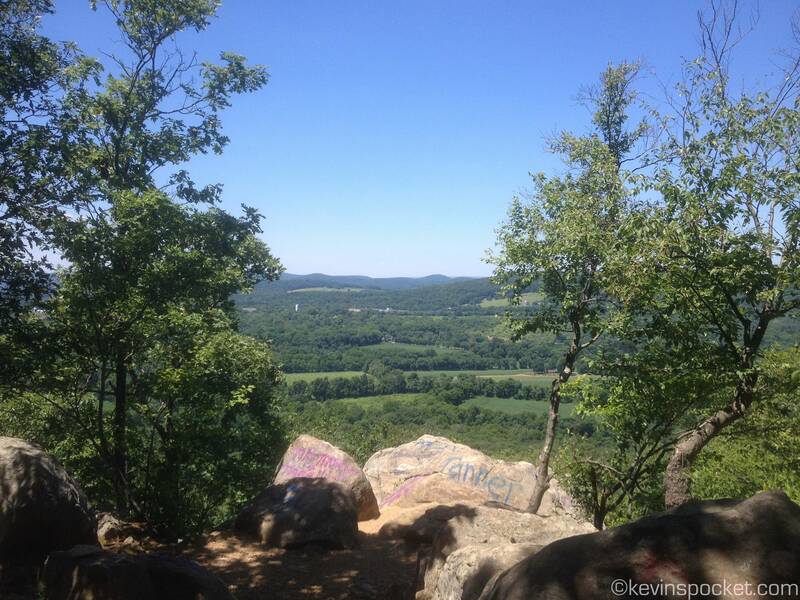 New Jersey’s highlands are packed with great hikes of all difficulty levels. 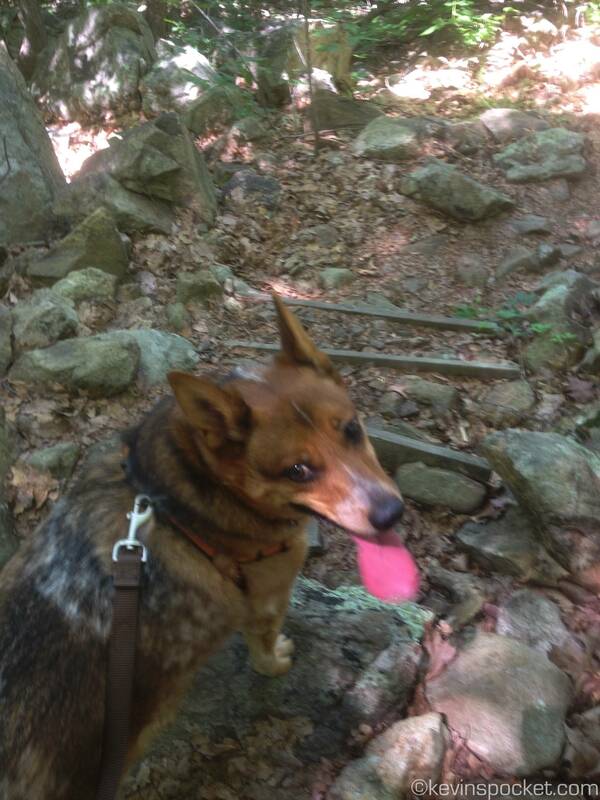 Today, Mojo (my Australian Cattle dog) and I completed a hike on Point Mountain in Warren County, a new spot for both of us. The 3 mile trek covered an elevation gain and drop of about 1000ft and took about an hour and a half to cover. There is a small parking area, big enough for about 4 or 5 cars, as well as street parking on Point Mt. Road. We parked in the small lot, grabbed our gear and started walking down Point Mt. 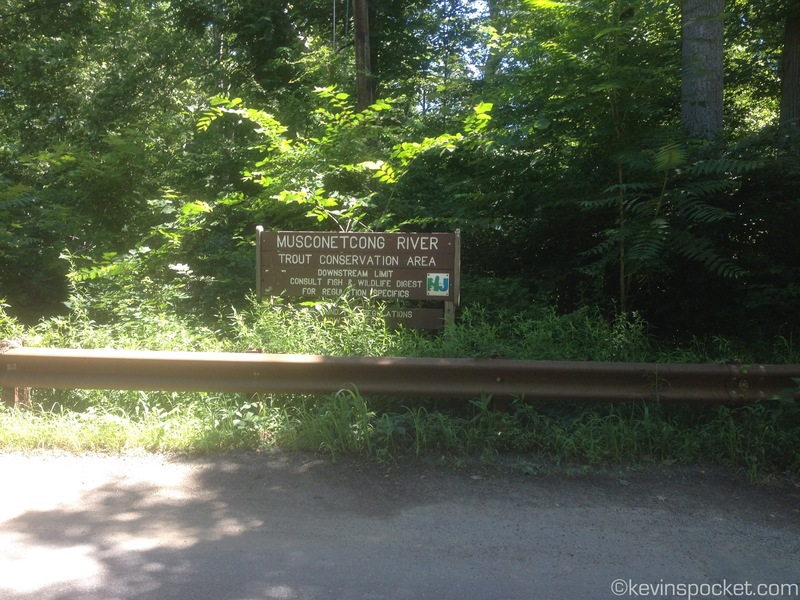 Road to meet up with the blue trail; near the one lane bridge that crosses the Musconetcong River. We left the street and headed Northeast along the side of the river. 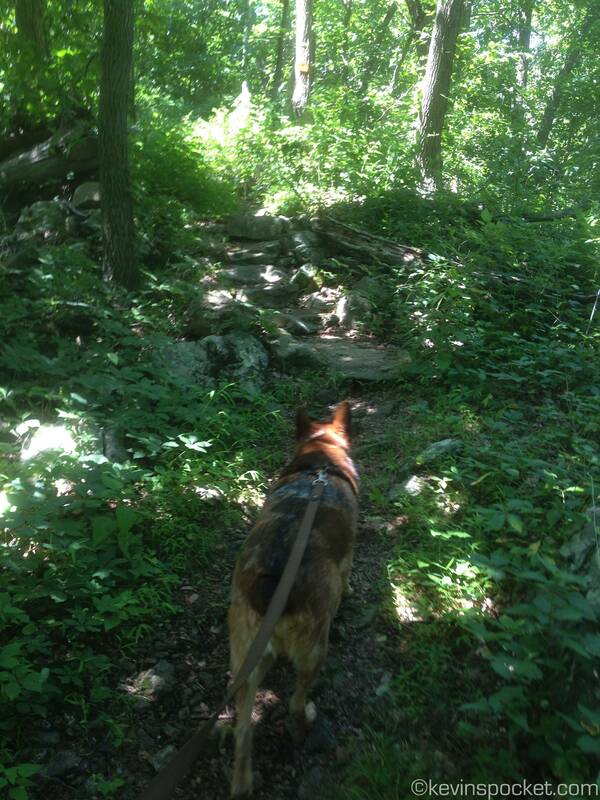 After about 15 minutes of a fairly flat trail, we made our way into the thicker woods and started slightly uphill. 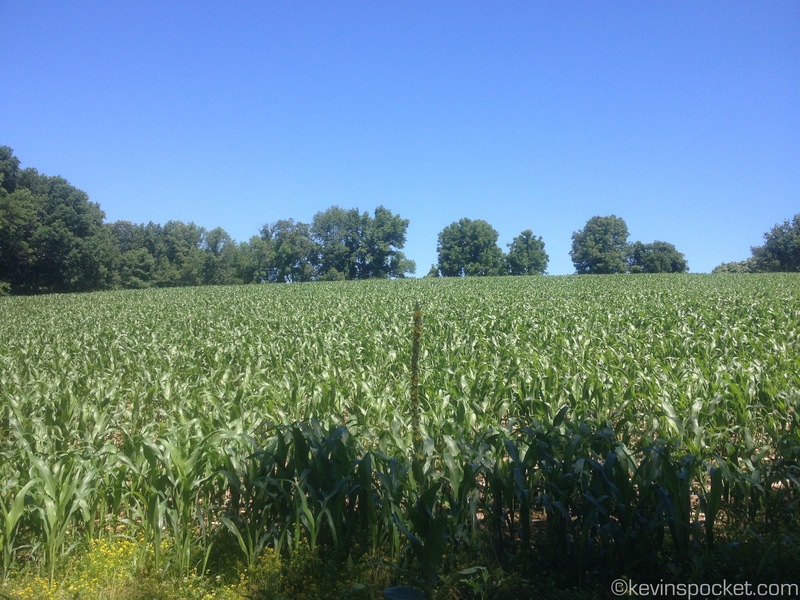 We stayed towards the left at several small forks, and soon found ourselves facing a large corn field. We hiked East along the Southern edge of the mowed field. A left turn at the corner of the field, a few yards through the trees, and we were at our second field. Again, we hiked along the Southern edge and met up with the trail again at the South-East corner of the field. 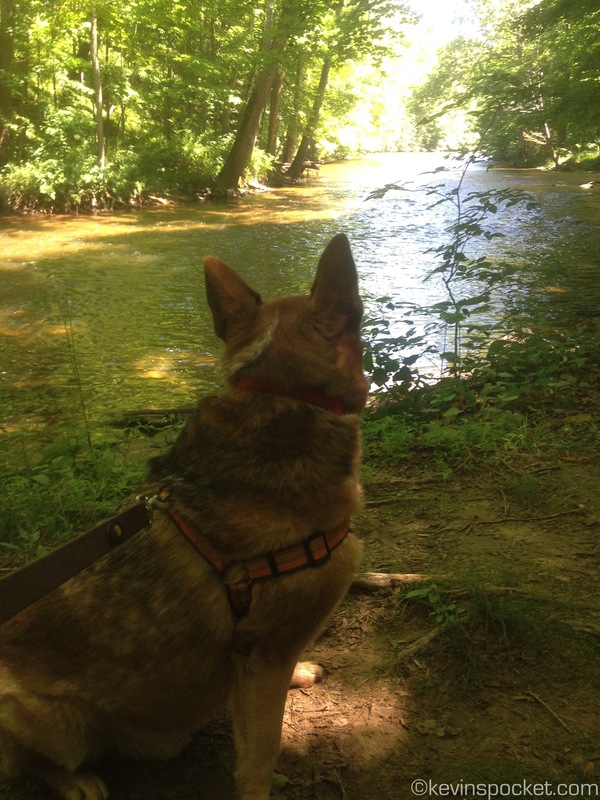 We headed back into the woods along the orange trail. There was a steep incline as we headed Southeast through the woods. As the trail turns to the Southwest, the trail got a bit bouldery. Is bouldery a word? 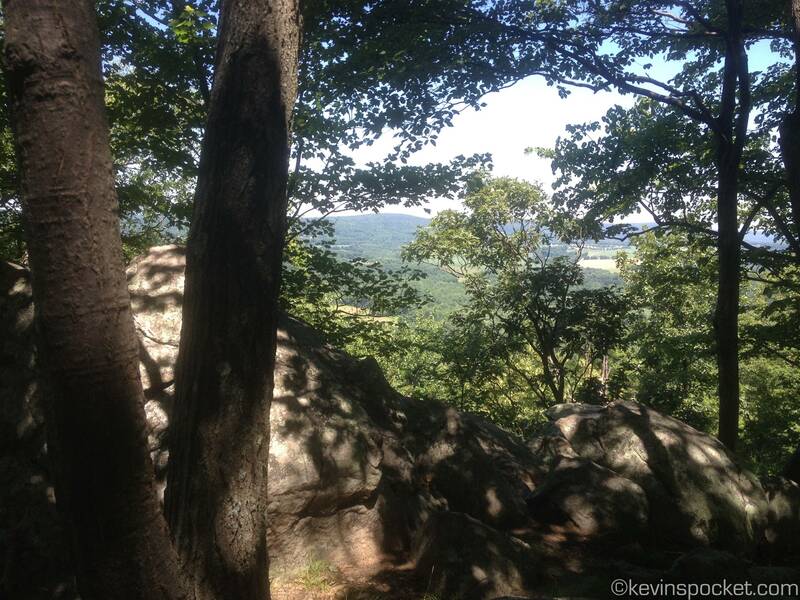 As we climbed up towards the summit, the views through the trees revealed how much we had actually climbed. I definitely want to head back to this trail in the fall to see the colors, and again in the winter to really take in the views when the trees have lost their leaves. A little bit further, after some more boulder clibming, we reached the summit of Point Mountain. The best part about the New Jersey Highlands, are the views of the still existing farm land in the area. So much of the Garden State has been paved over; it’s great to see an area that still looks like a garden! The grafiti on the boulders at the top made me a little sad, but I didn’t let it ruin our hike. As we headed back down, there were steep sections with large boulders. The steepest parts of the decent have rebar/wood retaining walls to create steps; these were a big help for Mojo on the way down. As we neared the parking lot, the trail leveled out, and was a nice cool down from the hike. I really enjoyed Point Mountain, and would certainly recommend it. There are sections that I would classify as being moderately difficult for beginners; but definitely not too challenging for even a casual hiker.